It’s not something you can see, but it has many colors and is incredibly important. Bravery is one of the key requirements of the beginning student and becomes one of the major attributes of the advanced one. It is also one of the primary reasons our school is ideal for today’s youth. Many students who begin at our school do not have any martial arts experience, nor any familiarity with the Chinese language and culture. Being that we are a traditional school, this can be intimidating and difficult for a westerner to adapt to. Continuing on this course takes bravery. Hundreds of kicks, holding stances for minutes on end, struggling to learn and remember movements, grueling sparring sessions with students possessing significantly more skill, training through injury, the pressures of preparing and testing for the next rank…. these are just a few of the many elements of kung fu that require bravery at our school. It’s a personal decision each student must make to press on. Students will also exhibit bravery out of school. It might be as simple as stepping in to help someone in trouble to something more major like defending someone in a violent situation. The bravery gained through the hard training provides a solid basis for the student to determine right from wrong and the strength and skill to act on it properly. “We do not rise to the level of our expectations. Parents take note – there are three aspects of kung-fu training that enabled our students to do well in life. These aspects revolve around being “flexibly rooted”. Through the years, the school has seen firsthand these three things enable our younger students with the knowledge and discipline to become highly competent and confident adults. Consistent and enduring training. This includes not just a physical level, but also a discriminating use of time and experience that reflect in their pursuit of education and work ethic. Awareness through self respect. As they learned to push themselves and achieve their desired goals, they grew to respect not only others and their kung- fu training , but they grew to respect themselves. A sense of confidence and ability that they learned to apply in a full range of different circumstances. A learned habit they would call on time and again in hard times as well as good to know they can accomplish anything because they persevered in their kung fu training. Through self effort they learned self-discipline and self-efficacy. Nothing was given to them – they had to earn it through toil and persistence. And in the process they learned never to give up, no matter how hard it was. 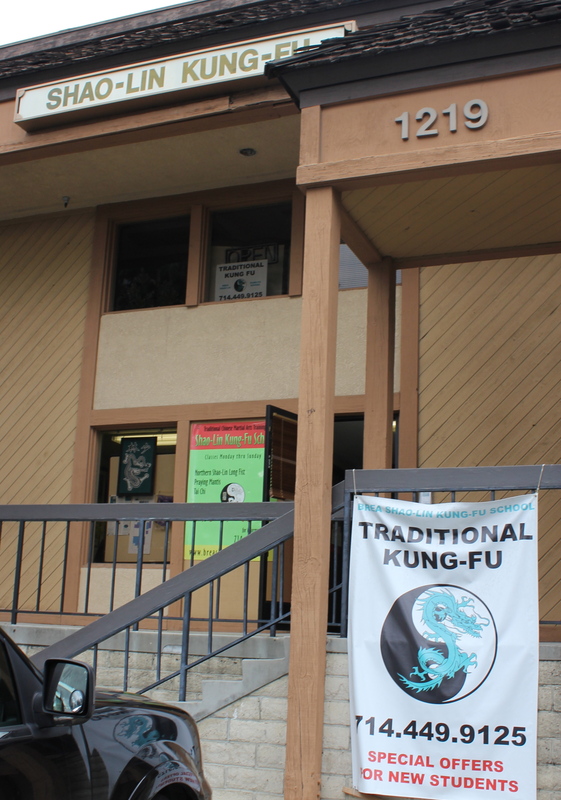 Throughout the history of this school, the use of these kung-fu principles have not only come to bare in our young students future academic and professional careers, but also in their personal sense of themselves. Whether it be with their wives, kids, friends, work associates, or strangers, they stand flexibly rooted! If you want a high level of fighting ability, robust physical fitness, constant self-improvement, self-confidence, and more – then show up to class. Using this principal of “showing up” will also serve you well in the other important areas of your life. “For the warrior, the path to enlightenment comes by openly and objectively studying all forms of martial arts, sticking to the true path of the warrior, allowing no dishonesty in your heart, sharpening and trusting your intuition, and diligently practicing and clinging to the truth. In time, once the clouds of confusion have cleared, you will come to true enlightenment. When you are called on to perform a form there are a sequence of orders – a formula per se. The name of the form first. The name of the form (again), then “Ready!” second. Thirdly, the name of the form, then “Begin”. There is a reason even for this. This same formula is used for possible conflict. First order is to be aware of a possible situation or problem. Second order is to size up the situation and be ready to act. Third order, Act! The psychology and mental discipline of a kung fu practitioner is as important as his speed and power. All skill sets are learned through consistent practice and repetition in as many ways as possible. If one point can’t be drilled into each student enough is the idea of effort and consistency. In our world of fast food, remote controls, light switches, movies, etc., most people expect results to come on command. They expect instant gratification. People start a diet or exercise routine in the morning and expect to see a different body that night when they look at themselves in the mirror or wonder how much weight they lost when they step on the scale. Some people are ambitious enough to turn the TV off for a night and read a few pages of a book – only to set the book aside because the beginning was too boring. We expect to see immediate results and constant feedback or else we believe something isn’t right. However, that is not the way things work… not with kung fu and not with most things in life worth pursuing. In fact, what is happening every day you train is “invisible growth”. The development of kung fu skill is the pursuit of perfecting all the details that make up the art. This perfection is gradual – it’s a process that requires painstaking effort and consistency mentioned time and again in class. Because there are so many nuances to the movements, you won’t really know what you’re getting better at day in and day out. By the time you recognize you’ve gotten better at some aspect of training, you’ve practiced the techniques over and over and over again – even many hundreds and thousands of times. It’s quite likely that it is someone else telling you how much better you’ve gotten because you can’t even tell the difference. When they ask what you’ve done to get better, your answer will likely be, “I don’t know – I just trained!” because there was probably no aha moment. Those people probably weren’t around to watch you in class day in and day out. They had and have the same opportunity as you to get better. One last concept to help grasp the idea of “Invisible Growth” is that of compound interest – which was dubbed “the 8th wonder of the world.” by Albert Einstein. “Compounding” has the same benefit to your kung fu skill as it does to money. When it comes to the compounding of money – saving $20 a day and compounding it at 8%/year will yield $109,767 in 10 years, $353,412 in 20 years, $894,215 in 30 years, and $2,094,604 in 40 years. No small sum for half a life of saving. Although more money was saved from day 1 to year 30, there was much more money earned by the compounding effect during years 30-40. This is the 8th wonder of the world working in your favor. When it comes to compounding kung fu skill, the same phenomena will occur. As you put your time in and learn movements and techniques, much will be new and their will be no compounding going on – yet. As years go by and your body has internalized many of the basics, the compounding effect will kick in. New movements will take little effort to learn, understand and utilize. Your skill will flow as your body has memorized how to effortlessly move, react, and adapt to change. By training an hour everyday you’d hit 10,000 hours of training in about 30 years and become a “kung fu millionaire”.